One of the biggest and largest broadcasted trials in South Africa, is the murder trial of Olympic and Paralympic athlete Oscar Pistorius also known as ‘The Blade Runner’. In the early morning hours on 14 February 2013, Oscar Pistorius shot and killed his girlfriend, Reeva Steenkamp. Oscar Pistorius claimed that it was an accident and that he had thought it was a dangerous intruder, which is why he made the choice to shoot. Unfortunately, after breaking down the door, it turned out to be Reeva Steenkamp. However, there are certain aspects of this case that are still unclear; to everyone involved as well as the public. Now we find ourselves amidst a trial that the entire world is watching with bated breath, and nobody can wait for the newest bit of information. 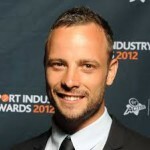 Will Oscar Pistorius be found guilty and face prison, or will he be found innocent and finally be allowed to grieve? We will be keeping you updated with the latest breaking news of the Oscar Pistorius trial, to read any of our articles look below. Continue reading "Oscar Pistorius Murder Trial – Day 18"
Continue reading "Oscar Pistorius – Latest News"
Finally here: iOS 5 is available from iTunes now.